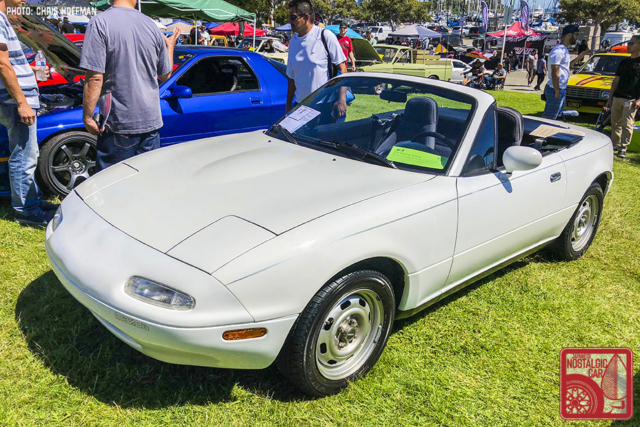 For 2018, the Japanese Classic Car Show expanded eligibility to cars up to 1995. That means for the first time, a flood of Bubble Era greats were able to attend. 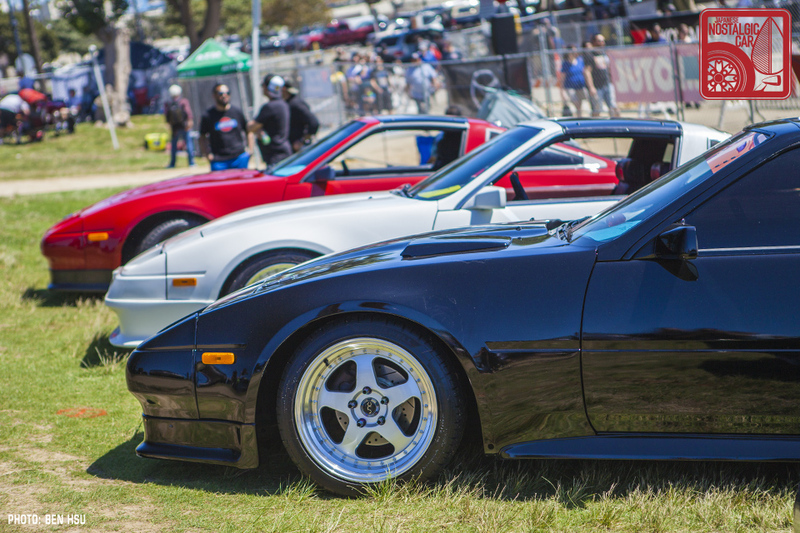 Welcome to a JCCS full of pop-up headlights, T-tops, and factory turbochargers. Not since they were new in Nissan showrooms have we seen such a collection of 200SXes. 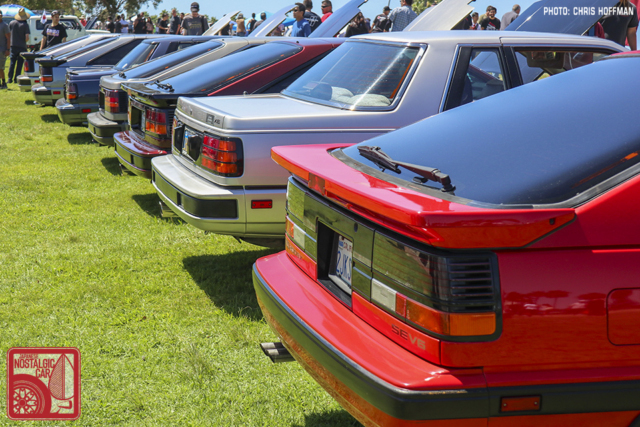 The S12 chassis was represented in both coupe and hatchback, turbo and naturally aspirated, as well as inline-four and V6. It was truly heartwarming to see so many enthusiasts of the breed putting such care into these under-loved models. 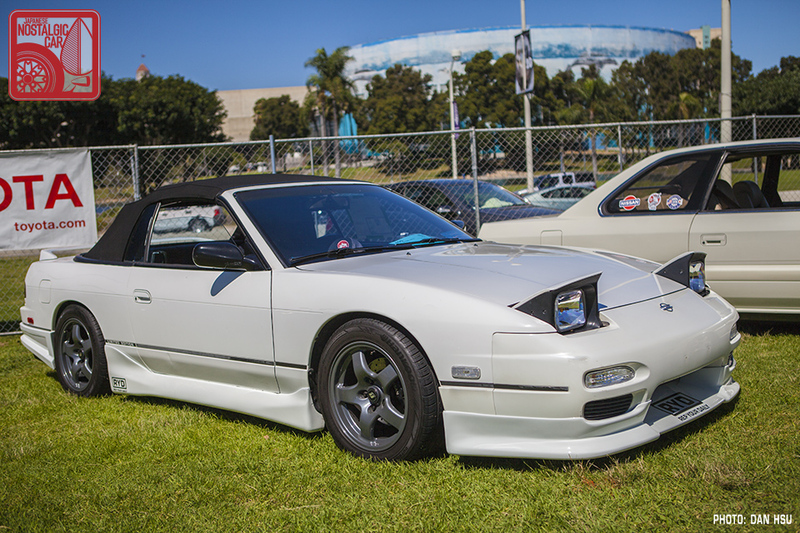 Interestingly, some of the nicest S13s were convertibles. David Johe’s white 1993 was a lovingly modified example sitting on R32 Skyline GT-R wheels and paying tribute to he heyday of drifting, while Janet Fujimoto’s black 1992 was restored to mostly stock condition aside from suspension and wheels. 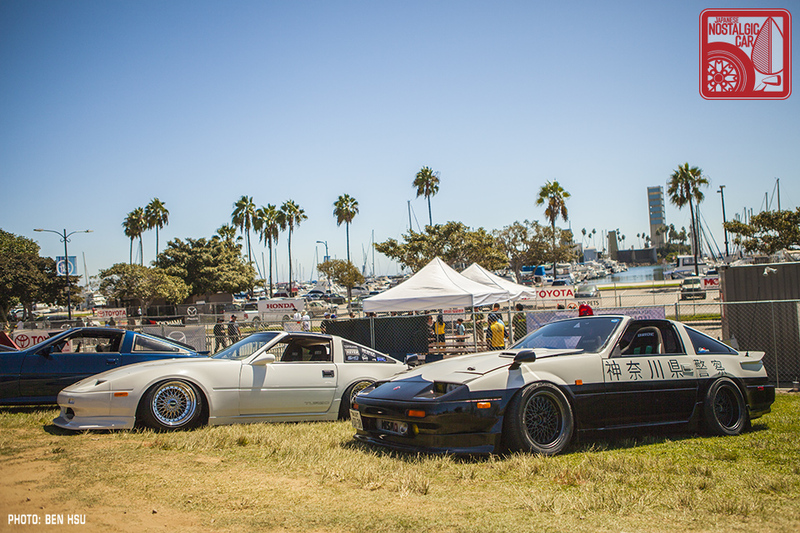 The Z31 section led off with a Japanese patrol car tribute and a slammed kouki on very cool period Enkeis. Ivan Checa’s 1986 sported a set of JNC (no relation) wheels. Donovan Beavers’ white 1986 wore a period Kaminari front aero and 3-piece Rays CV Pro wheels. 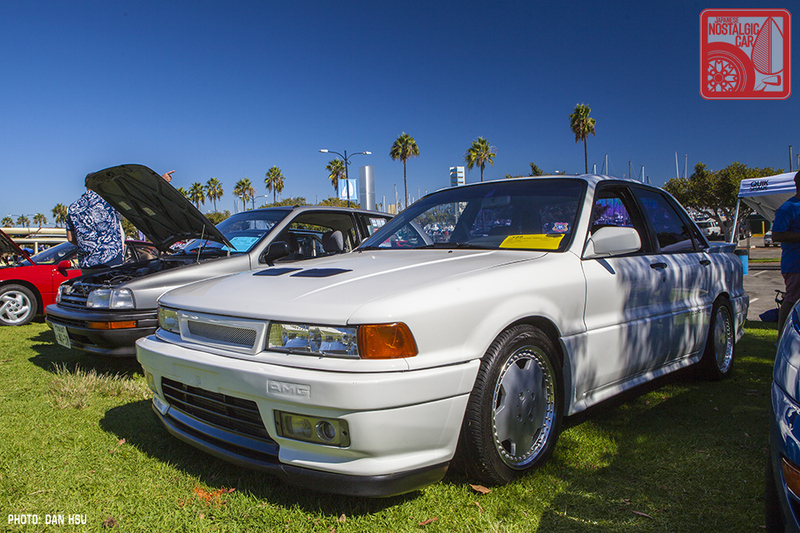 Behind it, Elias Coronado’s red 1988 Turbo was mostly stock except for an auto-to-manual swap. 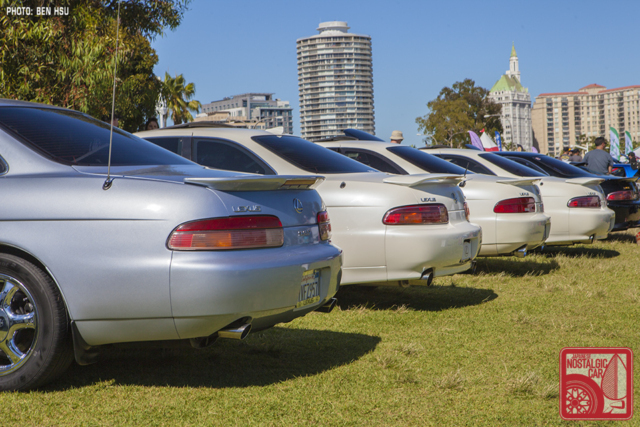 The new inclusion date meant that the pinnacle Japanese sports cars of the 90s were represented on the lawn. 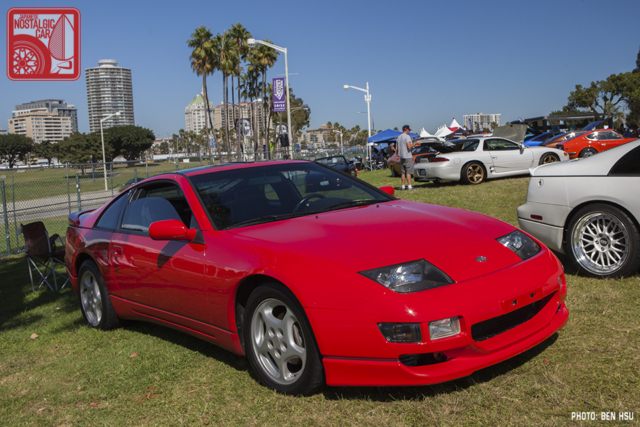 A small contingent of Z32s started with Mike Rocha’s Cherry Red Pearl 1990 Twin Turbo, followed by Dan Barnett’s Super White 1991 naturally aspirated 5-speed, and Mark Masero’s Ultra Red 1993 Twin Turbo. Mark was awarded the top prize for the Best Neo Nissan/Infiniti class. 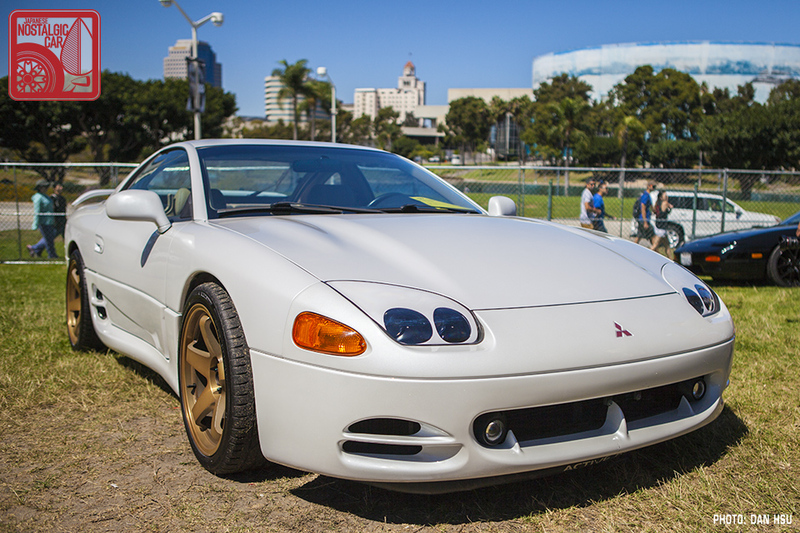 John Levy’s 1996 Mitsubishi 3000GT VR-4 was a beautiful survivor with just 38,000 miles on the odometer. 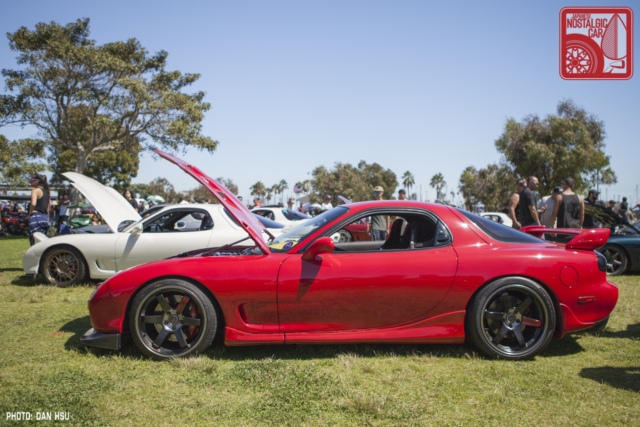 It has what John calls “mild modifications” limited to wheels, suspension, intake and exhaust. It has been in his family since new. 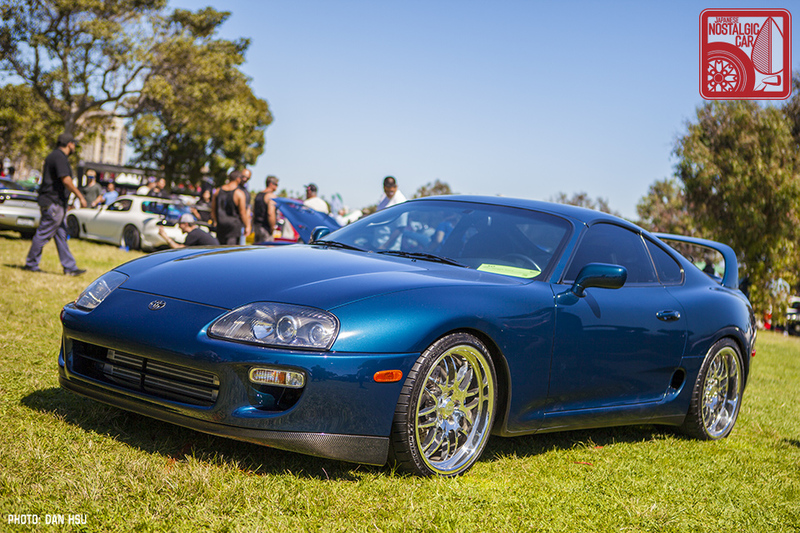 Len Saichaie’s Baltic Blue 1993 Supra Turbo was a brilliant specimen. Largely stock aside from the suspension and wheels, it stood in stark contrast to many of the 90s-style dyno missiles that populated the Supra section. Gene Abutin’s red 1994 Mazda RX-7 took on JDM tuner style with 18-inch TE37 SL wheels and a vented hood from the legendary RE Amemiya. 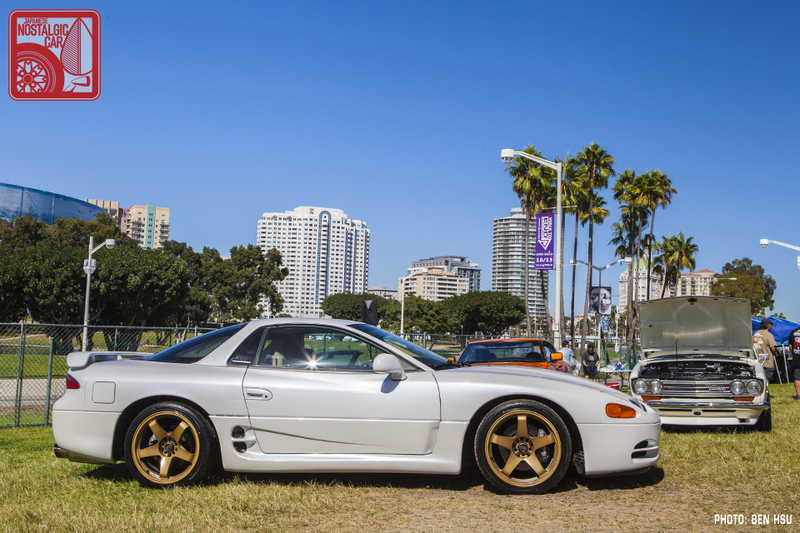 Meanwhile, Kenny Wu’s white 1994 is said to have been built with the goal of having the look of a Spirit R but with a street ported engine and upgraded turbo for 350 wheel horsepower. Chris Hoffman’s 1994 is all original and said to be one of 118 Silverstone manual Touring models made. 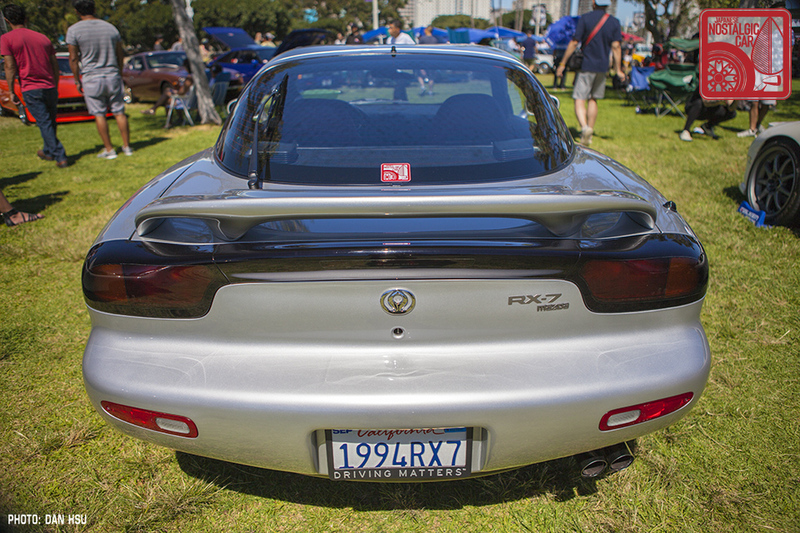 Chris took third place in the Best Neo Mazda category. 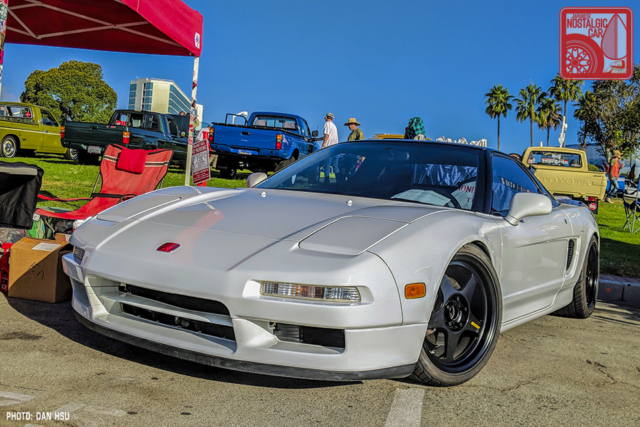 In honor of the new JCCS age rules, JNC co-founder and photographer Dan Hsu brought his 1993 Acura NSX in Grand Prix White. Not all Bubble Era cars were high performance, though. 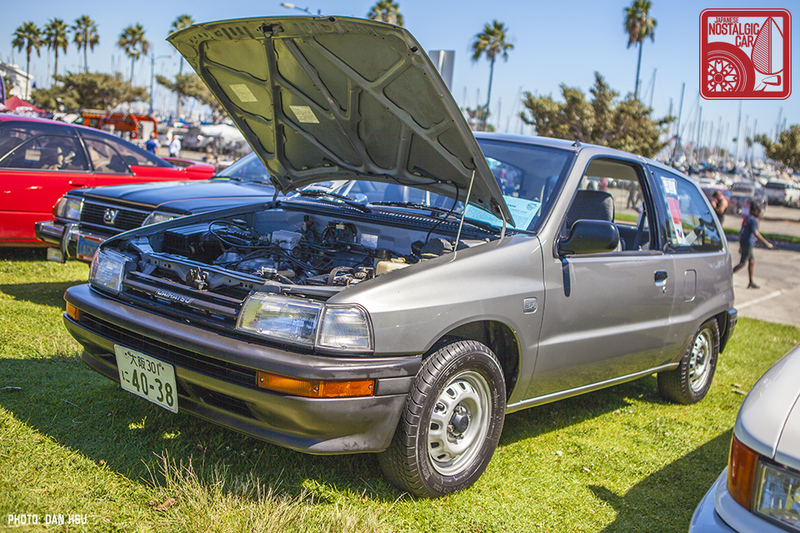 Ryan Glass’s Charade was the lone Daihatsu, and it’s 52-horsepower, 1.0-liter 3-cylinder provided performance of different kind — that of fuel savings. 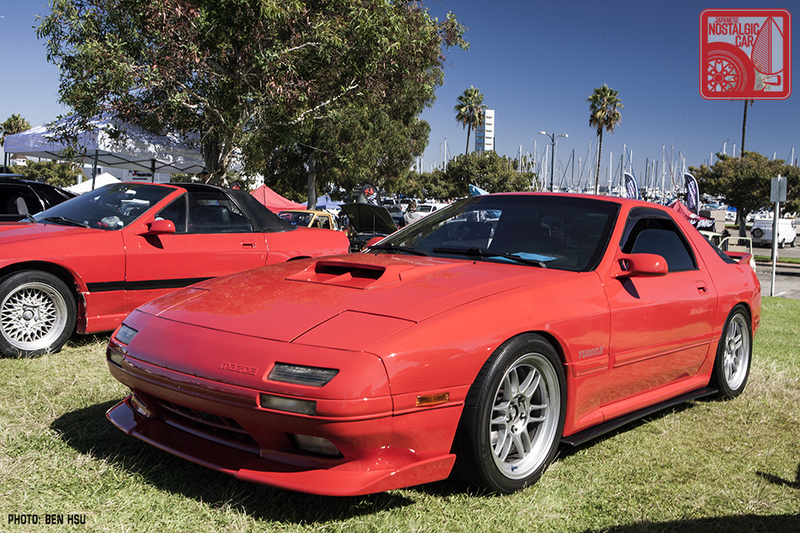 According to Ryan, it was good for 42 mpg, an impressive figure from 1988. The Bubble Era also inspired a cadre of rally machines. 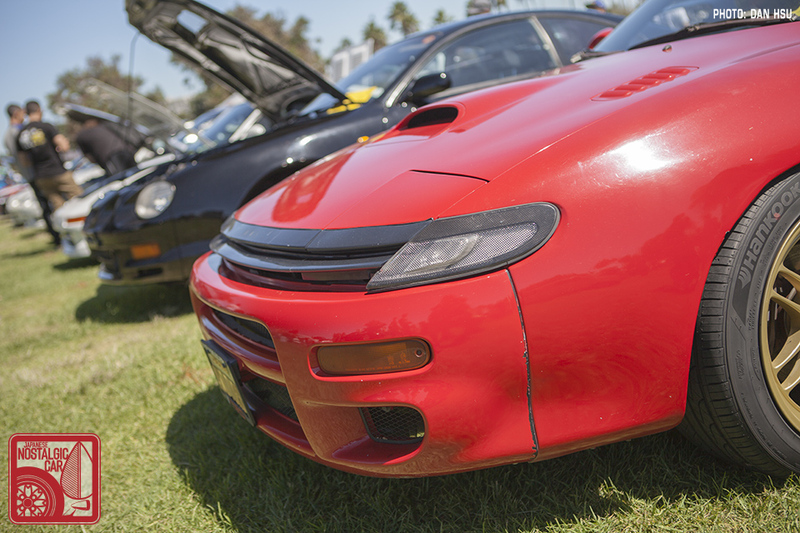 A rare ST185 Celica All-Trac shoed marked Toyota’s foray in to the world of off-road racing. 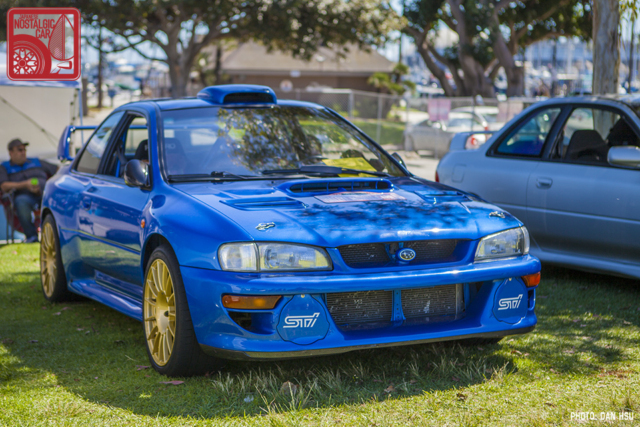 David Chafin’s GC8 Impreza was meticulously converted into a rally car clone, with wide-body flares and all the requisite scoops. Its engine was swapped with a newer Japanese-spec EJ207 boxer. For his efforts, David won the Best Subaru award. 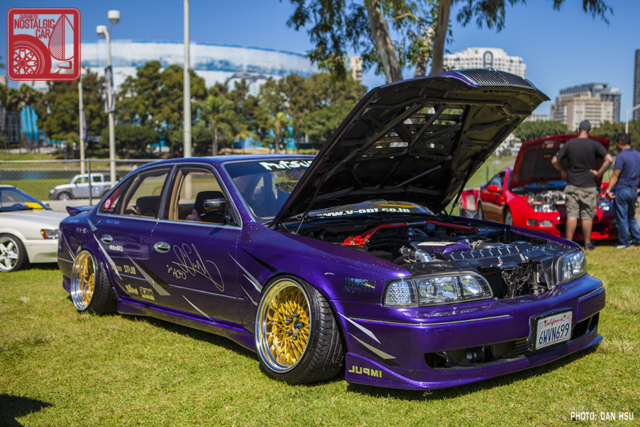 One of our favorites was Jeremy Manalang’s 1991 Mitsubishi Galant VR-4. 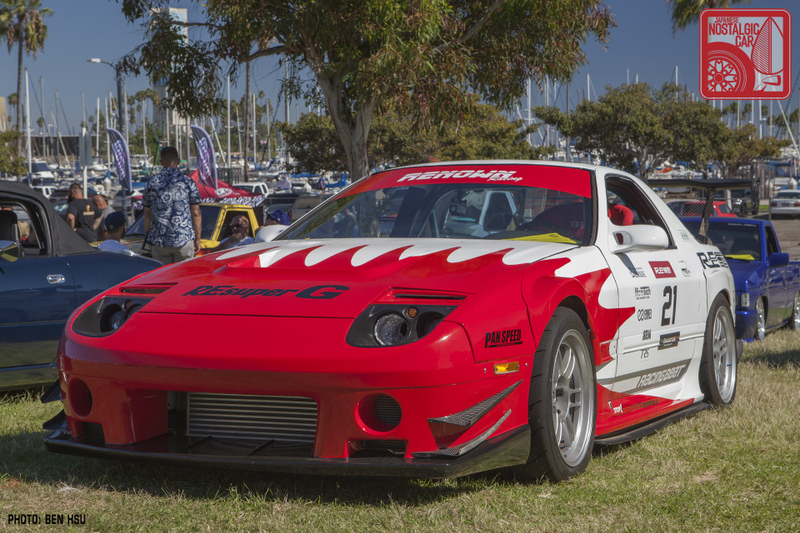 Number 734 out of 2,000, it sported an incredible array of rare AMG parts from when Mitsubishi collaborated with the then-independent tuning house most known for its souped up Mercedes. 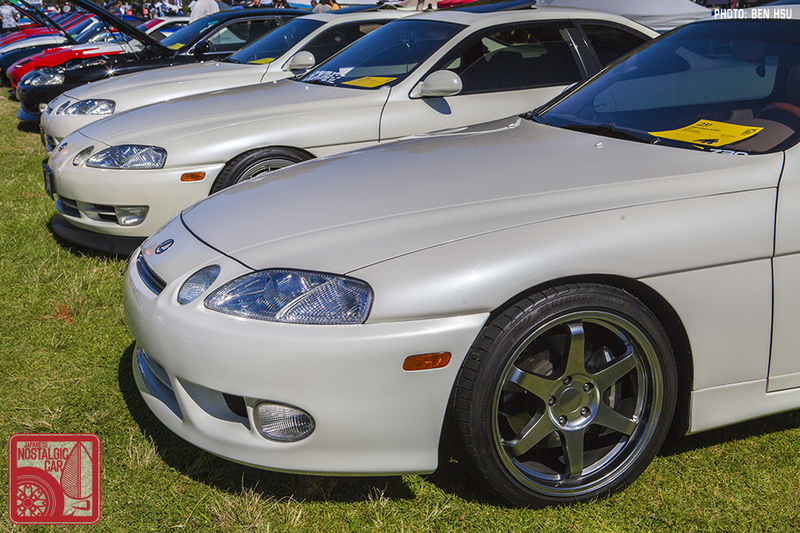 The inclusion of 90s cars meant that for the first time at JCCS, Japanese luxury marques were part of the festivities. 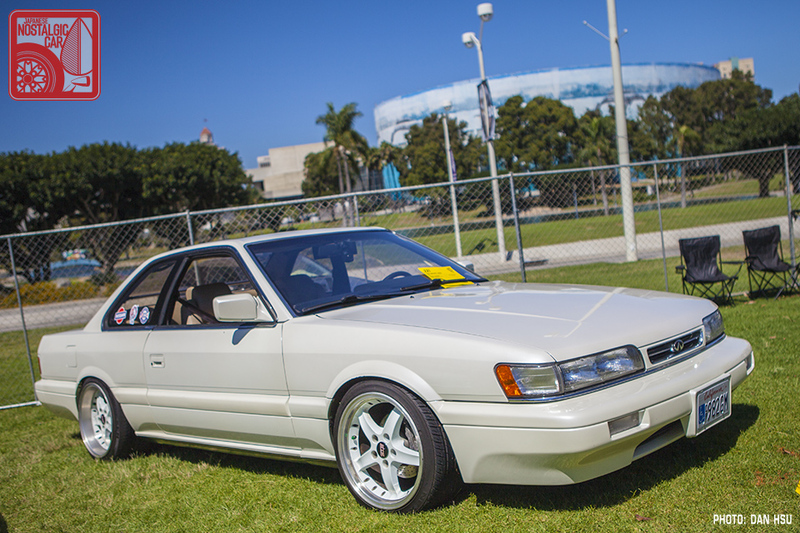 William Porche’s 1991 Infiniti M30 was incredibly clean and a beautiful representative of the early Heisei Era. Arnold Angsusingha’s 1994 Infiniti Q45 was at the other end of the spectrum, stanced and cambered with a Toyota 1JZ-GTE under the hood. Much classiness was exuded by numerous Lexus SCs, including a triple-white lineup of Ren Molnar’s 1998 SC 300, Nick Nehrir’s 1992 SC 400, and Long Huynh’s 1998 SC 300. 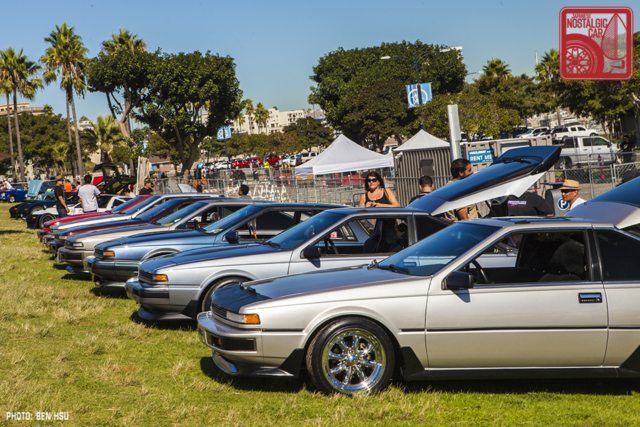 The inclusion of newer cars was one of the main reasons JCCS moved to a new, larger location at Marina Green Park this year. 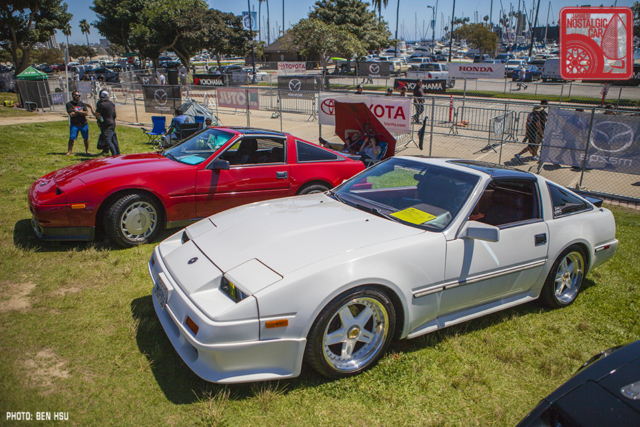 Previously, JCCS’s Street Neo Classics show of 80s and 90s cars was held at Toyota USA’s campus, but with the company’s move to Texas, a new venue was needed. 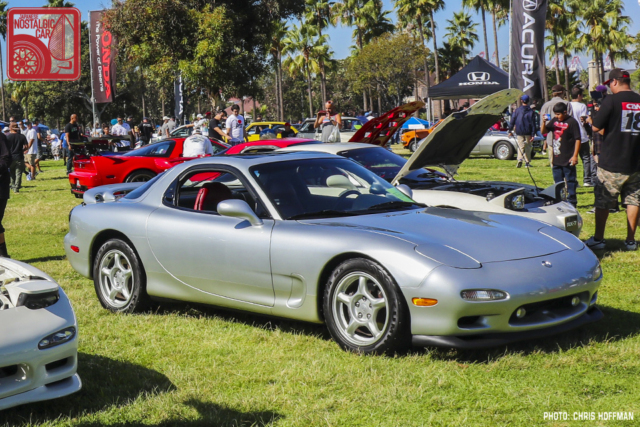 We think it was the right move to include these cars, most of which are 25 years old now, in JCCS to show a true spectrum of Japanese engineering and design. We’ll have more 2018 JCCS coverage coming up, but in the meantime, in case you missed it, check out Part 01 — JDM, Part 02 — Toyotas, Part 03 — Hondas, Part 04 — Subaru and Isuzu, Part 05 — Trucks, Part 06 — Mazdas, Part 07 — Nissan Bluebirds, Part 08 — Sunnys, and Part 09 — Fairladies, as well as a spotlight on the Wild Cards and the first Honda race car in America. tagged: 200sx, 240sx, 3000GT, 300zx, A80, Bubble Era, celica, charade, daihatsu, f31, fc3s, fd3s, Galant VR-4, GC8, impreza, infiniti, jccs, lexus, lexus sc, m30, mazda, mitsubishi, nissan, Q45, rx-7, s12, s13, subaru, supra, T180, toyota, z31, z32. I didn’t know that NSX was yours Dan! 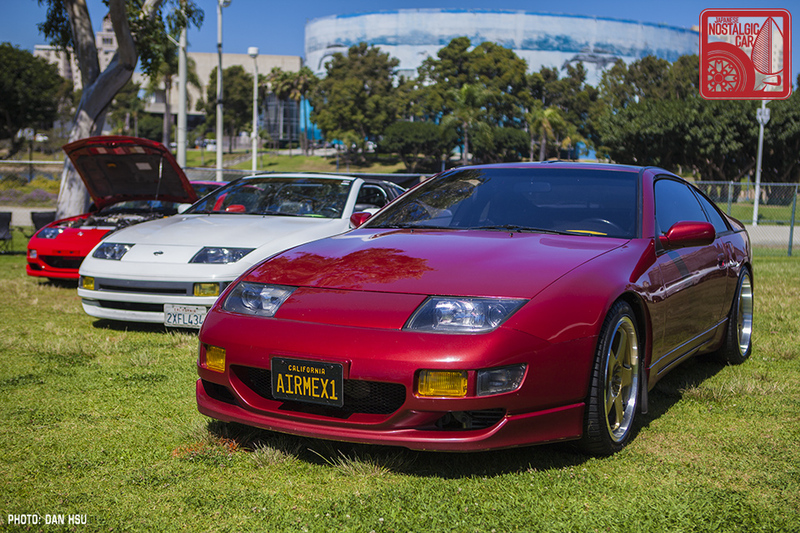 Beautiful and super clean. Love it. Bunch of clean Supras and RX-7’s! Wow, did NOT ever know about a collaboration between AMG & Mitsubishi!!!! You can really see the AMG style, especially when comparing that Galant to a similar Merc 4 door of the era. Was it something you could just buy off the showroom floor, as-is? Did it sell in all countries? I believe these engines were naturally aspirated and were pushing 170 HP using the same 4G63 engine. That’s the era when AMG was not exclusive to Mercedes. Very rare car and they were not available in the USA and some 500 were built. The VR-4 Galants were turbo and AWD. One more thing…. haha The article clearly states “Number 734 out of 2,000”. Please try to curb the misinformation. Not sure about the AMG version, but the “regular” VR-4 Galant was sold in the US. Yeah this guy is full of miss information. 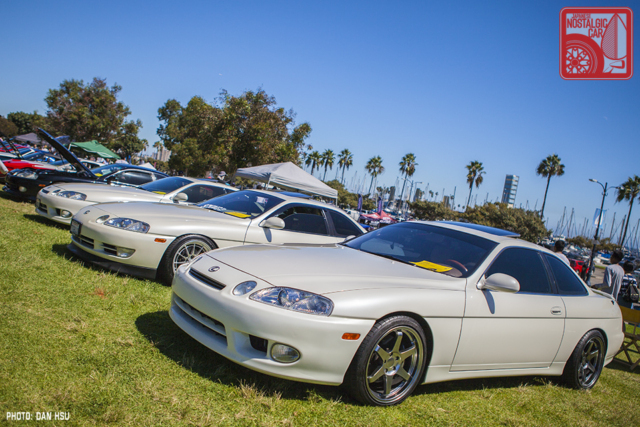 Great article on the JCCS event. Thank you for all of your time, efforts and dedication you do for the Japanese Nostalgic Car community. 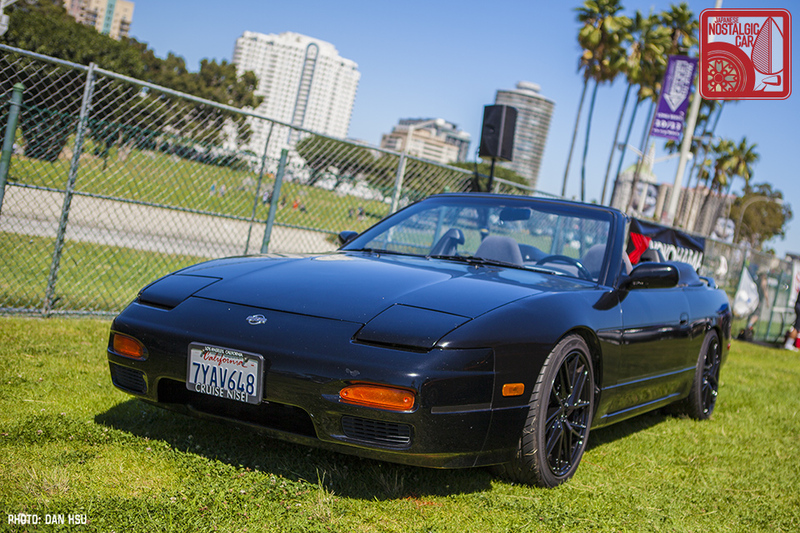 My sincere appreciation for featuring my 1993 Nissan 240sx Convertible. 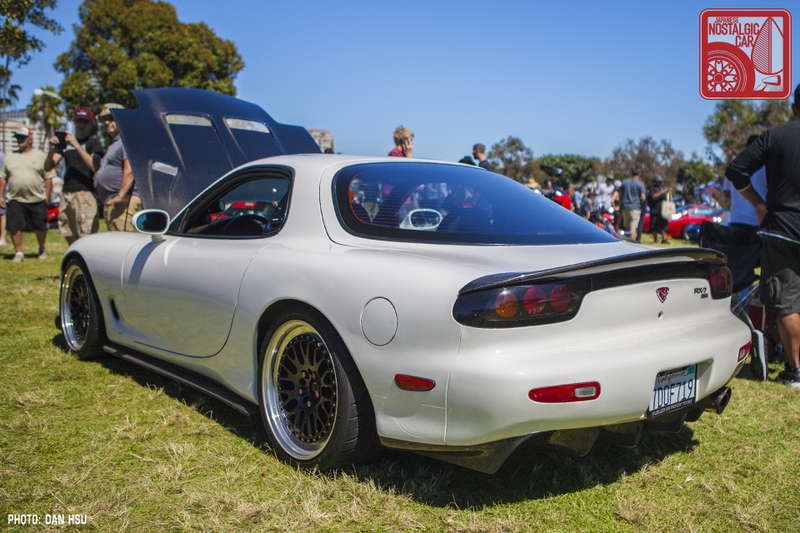 JCCS, so popular now, Jesus came back from the dead and cleaned house with his RX7.